As of now, there are approx 2.16 billion mobile users across the globe and the number is expected to grow vastly to 6.1 billion by 2020. As the device is handy people are more comfortable using it for internet surfing and accessing their required stuff through the internet by staying within their comfort. This growing number has rigorously impacted on the internet business and this might be the reason why the concept of a responsive website has been brought into the light. These days, if you don’t have a mobile website, believe me, you are missing out the valuable mobile traffic and you are likely to turn away tons of potential customers. According to the recent research conducted by the Pew Internet and American life project, nearly half of the adults in the U.S. these days are using a Smartphone. And ninety percent of the users say that they check their email and surf the web through their phones only. So, if a customer has to buy something, he/she will most probably use a mobile phone to do that. Such devices may include- phablets, tablet, etc… As the mobile internet traffic is on the rise, you should never take a risk depending on the traditional computer, desktop supportable devices anymore. Having a responsive, mobile friendly website boost up a great-great-great user experience. For an instance, when someone sends a link over the phone and we open it, due to having a non-responsive website, the link we open looks distorted, thus giving us a bad user experience, which may kill the chances of having a conversion. At the same time, if we have a mobile friendly, responsive website; it will lend the users a great website surfing experience. When it comes to business, it’s all about time. The more time user will spend on your website or see your products; there will be the more chances of getting your product or services sold. As mobile users check your website on the go, they will be able to spend more time on your website, if it’s mobile-friendly or your product is useful to them. When it comes to improving your business online, it’s the speed that matters a lot. The quicker your website will be loaded the more interest visitor will take in surfing your product. A mobile ready website loads quickly as its code is structured in such a way that it’s compatible with the mobile devices. To justify this point, studies show that the mobile users abandon the website or a page which takes more than 6-10 seconds of time. There are certain SEO ranking parameters, which every online business has to follow to get ranked on the first page of Google. How your business will flourish over the internet all depends on the Google. 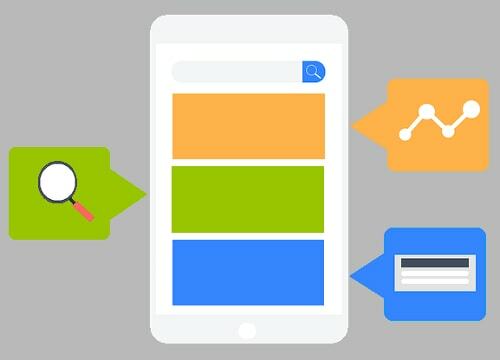 According to the Google webmasters, if your website is mobile responsive and has an HTML website to serve to mobile users, it will increase the chances of ranking your website greatly in Google mobile search results. There might be the chance that your competitor is already ahead of the time by having a greatly optimized mobile friendly website. Though there are high numbers of individuals who have amazing and technically advanced websites, but a few of them have a mobile friendly website. So check your competitors’ website and see if there is something that you can add on to your website that your competitors don’t hold. If you still don’t have a mobile-friendly website, have it now or you’ll indeed miss the edge.